With over 50 companies in the BMC member discount scheme it’s easy to save the price of membership (or more) by taking advantage of all the fantastic offers. You can save money on mapping, car hire, first aid courses, skills training, ski hire, expeditions, expedition foods, holidays, hotels and hostels! Additions to the scheme for 2015 include discounts on photo, film and slide scanning with ScanCorner, new mapping discounts from Anquet Maps, discounts on travel vaccinations from Nomad Travel Clinics, and new Accomodation deals in the UK from Holiday Cottages and Hazel Barrow Farm in the Peak Dsitrict, and in Europe from Haus Stangassinger in the Bavarian Alps, and Camping Arolla in the Swiss Alps. Find out more and start saving today. There's plenty of variety and the list is always growing - all the more reason to be a BMC member. Apply online today by Direct Debit and save 50% on your first years membership. Find out about the full range of BMC membership benefits. In addition to the membership discount scheme, over 700 outdoor retailers also offer discounts to BMC members on production of a valid membership card. With discounts starting at 10% off, you'll quickly recoup the cost of your membership. Find out if your local retailer is on our list. 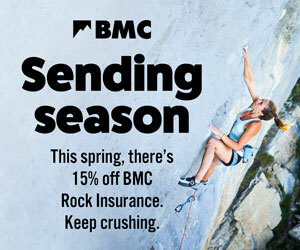 Joining the BMC could save you money. That's right, by showing your membership card you qualify for a discount at over 800 outdoor shops − and with most offering at least 10% off you won't want to go shopping without it!